Sale-a-Bration launches tomorrow, and I'm so excited! 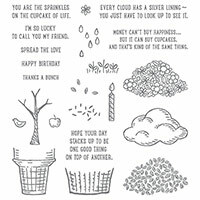 For those of you that are new to Stampin' Up!, Sale-a-Bration is a fantastic event that enables you to earn yourself even more free products than you would normally, and for a much lower order amount! 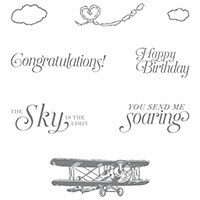 One of the free stamp sets you can choose from is Sky is the Limit. I think this is a great stamp set for the men in your life, especially if, like me, your stamp collection is mostly Christmas or butterflies and flowers! 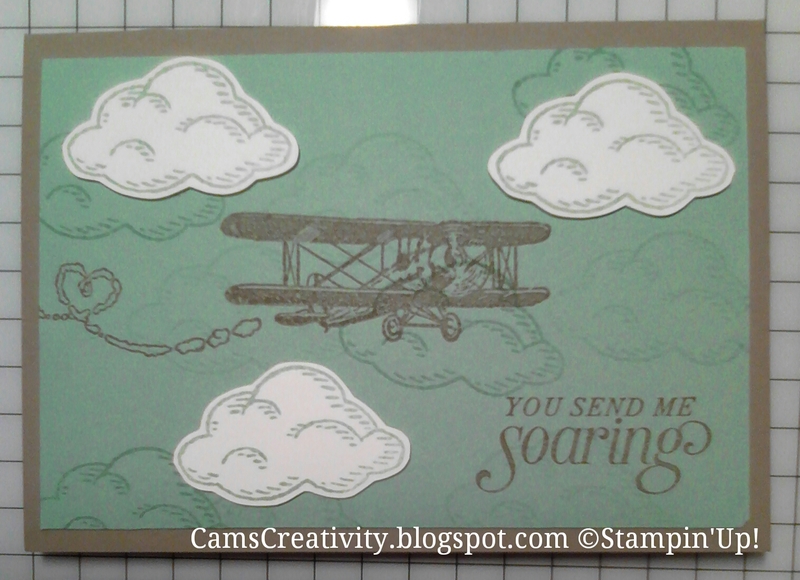 I decided to incorporate a stamp from the Sprinkles of Life stamp set (in the main catalogue) for the clouds, and I think it turned out pretty well. I hope you come back tomorrow for more Sale-a-Bration ideas, bit in the meantime, here is a list of the products I used (in addition to Sky is the Limit) to create this card.